The selfless contributions of many truly great men and women have shaped the Valley over the years. Everyday unsung heroes like teachers, lawyers, farmers, scientists, soldiers, police officers, truck operators, nurses, doctors, mechanics, business men and farm laborers are just a few of the great people that have called this place home. ​William Alexander Jex (W.A.J) Bowman (O.B.E, J.P) – was born in 1885 in Belize City, British Honduras and is the son of Thomas Bowman of Stonehaven, Scotland. He was a banana farmer before becoming one of the three pioneer citrus farmers in 1913 at Sarawee. In 1920 he became a Justice of the Peace and an Officer of the Most Excellent Order of the British Empire in 1933. He was an elected member of the Legislative Council (Southern District) from 1936-1940. He became the first chair of CGA in 1952 which lead him to document the origins of the citrus industry in his book Citrus Culture in British Honduras, published in 1955. The book is available to read at the National Heritage Library in Belmopan and the CGA Library in Hope Creek. 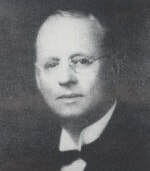 Mr. W.A.J Bowman was a pioneer citrus farmer and one of the men who fought and conquered difficulties at the beginning and helped make the industry into one of world-wide repute. From his farms came the root stock for almost all other citrus trees in the Valley. He can be said to be "The Father of the Citrus Industry" in Belize. Frank Greenwich Toriano (F.G.T) Sharp (C.B.E) – Was born in Fulham England in 1899. He was one of the most outstanding men of the Valley. At the age of 18 he moved to Jamaica where he worked with his grandfather F.G. Sharp at Trout Hall from there he went on to work in Spanish Honduras. In 1933 he came to Belize to run his family’s fledgling citrus estate in Middlesex. He created the Citrus Company of British Honduras that same year and was instrumental in forming the British Honduras Citrus Association in 1934. He was instrumental in planting the first commercial cocoa plantations for Hummingbird Development Corporation in Roaring River. He purchased the 400 acre Melinda Estates Ltd in 1961 which is now house the Marie Sharp Pepper Factory. Business lead him north where he invested in sugar and served as director of the Pembroke Hall Sugar factory in Libertad until it was sold to Tate & Lyle in 1964. 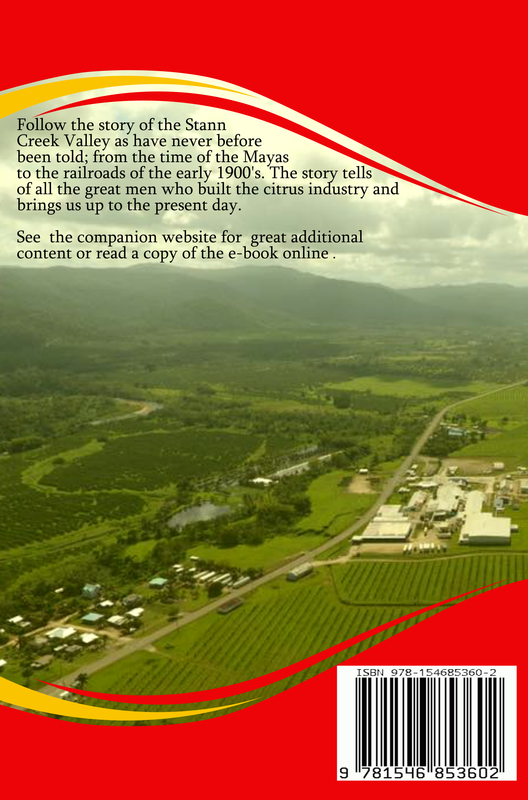 He was awarded the CBE in the New Year’s Honor’s list in 1968, for his contribution to the citrus industry of Belize. 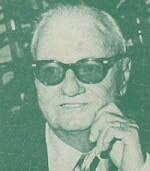 All his life Mr. Sharp was an avid football fan, owning and managing the famous Queen’s Park Rangers. He died in England and as was his desire he was laid to rest at Middlesex on a mound overlooking the Valley. He was hard worker, a planner and did not mince words. 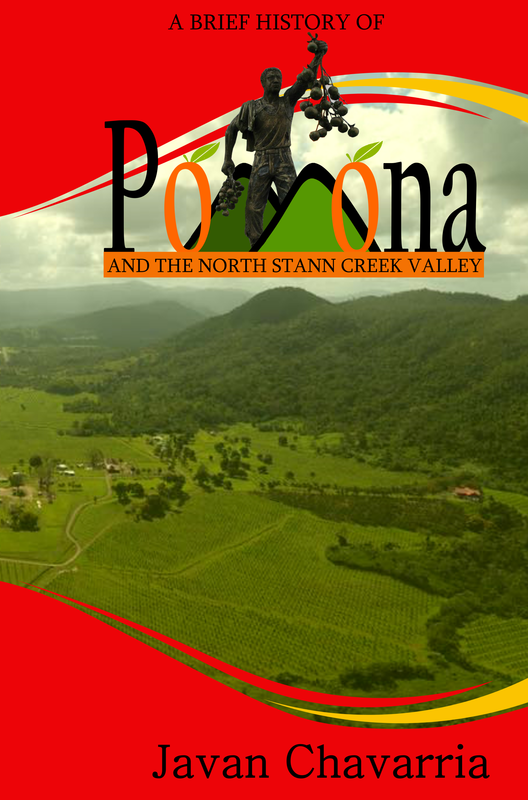 He is forever immortalized in Belizean history in the famous bruk-down song “Pomona Valley”. 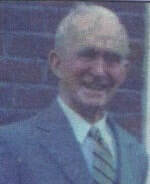 ​Henry Thomas Anthony (H.T.A) Bowman (O.B.E., J.P) – Born 1908 in Stann Creek Town. He was appointed Justice of the Peace in 1950. In 1956 he was accorded the Officer of the Most Excellent Order (O.B.E) and the same year he was appointed Commissioner of the Supreme Court. In 1979 he wrote an autobiography entitled Emerald Valley and Twinkling Town. He was a business man and citrus grower. 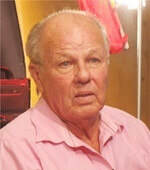 Denzil Fritzgerald Jenkins – was born in 1934 and is from the village of Gales Point. He is a stalwart in the Citrus Industry holding many high level positions throughout his career. He is chemical engineer who graduated from the University of the West Indies in 1966 and managed the Belize Food Products Factory at Alta Vista. In 1986 he became Commissioner of the Supreme Court for the Stann Creek District. As Chairman of the CGA Investment Companies Limited he was the lead negotiator in the acquisition of CPBL in 2002. 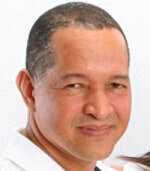 He is a Director on the Board of Citrus Products of Belize Limited. He entered electoral politics in 2011 and contested in an open convention as candidate for UDP standard bearer in the Stann Creek West Division. Mr. Jenkins is also a preacher and is a protector of the small farmers. William Henry Bowman (O.B.E) – Born 1938 in Stann Creek Town. From a young age Mr. W.H. Bowman managed his family’s business. He was the longest serving chair of CGA holding the post for 15 years. In 2010 he became the Executive Director of Belize Citrus Mutual. He is the single largest grower in the industry and supports schools and other charitable causes in the Stann Creek Valley area. ​Marie Sharp – was born in 1940 in Belize City, British Honduras. Her family the Lopez were originally from San Pedro Town on Ambergris Caye, but moved to Belize City shortly before her birth. 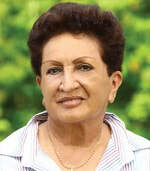 In 1948 she moved to Dangriga where she would go on to become a teacher and then an executive secretary at the British Honduras Citrus Company before becoming an entrepreneur. Since 1981, she has been producing pepper sauce and in 2016 was inducted into the Hot Sauce Hall of Fame. As the most successful and well known female entrepreneur in Belize she has used this platform to champion the cause of women throughout the country. 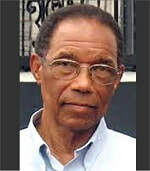 ​Melvin Hulse – was born in Belize in 1947 to parents of English ancestry. His father Melvyn Hulse Sr. was a land owner who logged and built roads into the jungle throughout the Cayo and Stann Creek Districts. Melvin attended Lynam College and later served in the British Honduras Volunteer Guard. He is an agronomist by profession. He entered politics in 1988 and in 2015 after 27 years resigned from the UDP. During this time, he had served as Minister of Works and Minister of Public Utilities, NEMO and Transport. He is the only UDP to have won in the Stann Creek West. Glenford A. Ysaguirre – was born in 1958 and grew up in Hope Creek. He is an Economist and Financial Accountant. He was the 7th Governor of the Central Bank of Belize serving from 2008-2016. Glenford obtained a Bachelor’s Degree in Accounting from St. Thomas University and a Graduate Certificate in Banking from South West Graduate School. 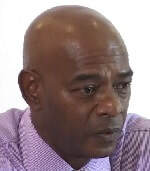 He served as the Financial Controller for the Belize Water and Sewerage Authority before serving in management of both Atlantic Bank and First Caribbean Bank before becoming the Governor of the Central Bank of Belize. 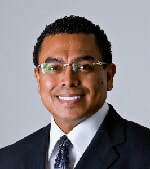 Today Mr. Ysaguirre serves as the Managing Director of Garde Financial Management Limited of Belize. 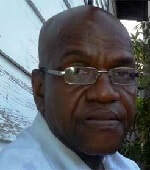 Rodwell Ferguson Sr.– was born in 1962 and is an accountant by trade. He entered politics in 2002 representing the PUP. He served in various capacities in Cabinet including Minister of State in the Ministry of Home Affairs from 2003-2004, Minister of State in the Ministry of Tourism from 2004 to 2005, Minister of State in the Ministry of Education 2005 to 2007 and as the Minister Defense, Youth and Sports from 2007 to 2008. Honorable Ferguson is the current area representative for Stann Creek West since March of 2012. ​Dr. Leroy Almendarez – was born in 1964 and grew up at “Dos Caobas” near mile 17 in the Stann Creek Valley. 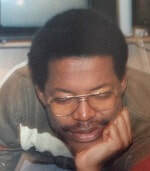 He went on to study at the University of the West Indies and then earned a Doctorate Degree in Organizational Leadership and Higher Education from Nova Southeastern University. 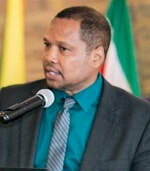 He was the Director General of Foreign Trade from 2014-2016 and lectures at the University of Belize while owning and managing a consulting firm. 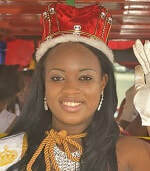 ​Corona Villafranco– was born in 1969 and was a former Miss Belize contestant in 1987. She worked as a radio broadcaster and teacher. She was an opposition Senator for the PUP from April 2008 to November 2011. She became the first female Chairperson of Pomona during the 2010 village council elections and served a 3-year term. Ms. Corona is often the Mistress of Ceremonies at local fairs and talent shows and is very involved in the community. 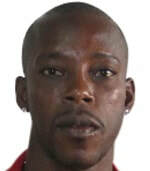 ​​Elroy Alexander Smith – was born in 1981 and was one of Belize’s first professional footballers. Having honed his skills on the famous Billiard Table Field of the Queen’s Park Rangers, he went on to play professionally in the Honduran National Professional Football League. 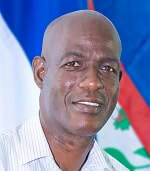 He joined the senior national team in 2004 and went on to become the longest serving member and captain of the national football team of Belize. He currently captains the defending champions of the National Premier League of Belize, the Belmopan Bandits. Carrie Emerald Wong K – was born in 1984 and is from Sarawee Villlage. She was the 60th Queen of the Bay from 2005-2006. She obtained a Bachelor’s Degree in Tourism Management from the University of Belize where she served as President of the Student Council. 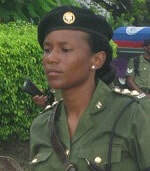 Carrie combined strength and stamina to her beauty and brains and became an Officer in the Belize Defence Force. This lead her to further studies at the Colorado Military Academy. Her job has taken her all over the world and she is currently posted in the United Kingdom. She gives back to students through the Carrie Wong-K Scholarship Foundation. ​Yadira Argueta – was born in 1994 and placed well in the National Coca Cola Spelling Bee in 2006 and 2007. She went on to become the 67th Queen of the Bay from 2012-2013. 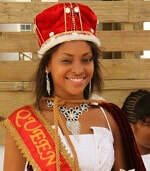 She has represented Belize at several international beauty pageants. She worked as an accountant and studied Accounting at the University of Belize before entering consulate work. ​Alfonso Castillo – hails from Pomona Valley, Stann Creek. He worked various positions in the Royal Bank of Canada before becoming Bank Manager after the name had changed to Belize Bank. He then became a business man owning a successful hardware store in San Pedro. In 2013 he was named San Pedro person of the year Mr. Castillo is known for his humble nature, philanthropic disposition, uprightness, and indisputable kind-heartedness. K​aty Sealy – was born in England in 1990 and is a professional track and field athlete who has represented Belize internationally since 2010. She is a three time Central American Heptathlon Champion and record holder. She represented Belize at the 2016 Summer Olympics in Rio de Janeiro, Brazil. Her grandfather, Father Sealy lived in Pomona and worked at the St. Matthew’s Anglican Church. 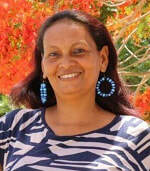 Her father was born in Stann Creek Town in 1964 so she holds dual nationalities of Belize and the UK. Dr. Lionel Gordon – Is a nuclear physicist who grew up at Mile 27 on the Hummingbird Highway. He went on to earned his PhD in Physics from the University of Manchester. He went on to do further research in Germany and also at the Thomas Jefferson National Accelerator Facility. 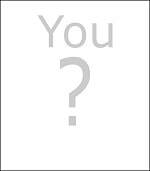 He a is a theorist in general relativity and works in the energy industry in the United States. 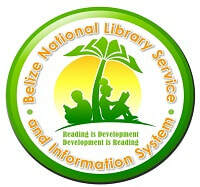 You - Whether young or old you can make a difference in your community and in this beautiful country of ours, BELIZE! Maxime Allen Faget (1921-2004) - was a born in Stann Creek Town, British Honduras. 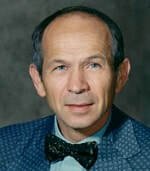 He was a mechanical engineer and designed and invented the Mercury spacecraft, and contributed to the later Gemini and Apollo spacecraft as well as the Space Shuttle. His father, Dr. Guy Faget, was a specialist in tropical diseases, and his mother was a health care worker. Both Americans, his parents were employed by the British government to serve in the clinics of this British colony because in the aftermath of World War I, most British physicians at the time were still serving in Europe. Many say that Maxine grew up in the valley and his father grew citrus. One thing is certain, a young Maxine would have traveled up the Stann Creek Railway very often and it was perhaps these trains that inspired his passion for mechanical engineering that developed into submarine and rocket building. ​Dr. Arlie Oswald Petters (M.B.E) - was born in 1964 in Stann Creek Town and is a Belizean-American mathematical physicist. Petters was raised by his grandparents, Bernice and Gilbert “Gilly” Waight. He migrated to the United States in 1978. While growing up he spent time at his grandfather’s farm at mile 28 in the Stann Creek Valley. He earned his Ph.D. from the Massachusetts Institute of Technology (MIT). He is best known for his thesis on "Singularity Theory and Gravitational Lensing" which challenges Albert Einstein’s General Theory of Relativity. He was a professor at MIT, Princeton University and lectures at Duke. He was named by the Queen of England in 2008 to membership in the Most Excellent Order of the British Empire, in recognition of his scientific accomplishments and service to society. Roland A. 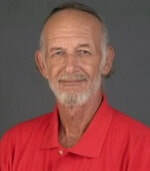 Parks – was born in Pomona Valley in 1955. He is a journalist and poet. He dropped out of school at an early age but realized the need for an education and completed a law degree at the University of the West Indies and a writing degree at the City University in New York. He works for the nation’s largest newspaper, Amandala. His most famous work was a poetry book entitled Poems of Passion, Patriotism and Protest, released just before Belize’s independence in 1981 with Dickie Bradley and Evan X. Hyde. ​Falon Cain – was born in 1993 and was the 70th Queen of the Bay from 2015 – 2016. She has become a radio personality and works in local and international internet marketing and courier service industry.